This cute little guy will swim right into your heart! 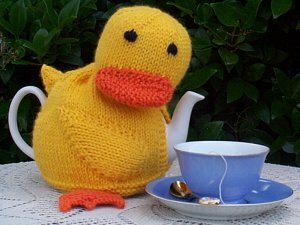 Knitted in worsted weight yarn he works up very quickly and will make a great gift for the duck lover in your life. This pattern also available on Ravelry.